Kolkata Knight Riders skipper Gautam Gambhir has once again criticised Virat Kohli's captaincy, acknowledging that while Kohli is a master batsman he is an 'apprentice' as a captain and has lots to learn. "While Virat Kohli the batsman is an absolute master, Virat Kohli the captain is an apprentice. He has loads to learn. Rather than blaming the bowlers he should take the blame on himself,"
The former India opener, who led Kolkata Knight Riders to two IPL trophies in 2012 and 2014, has earlier said that in a result oriented franchise environment, Kohli has been ‘lucky’ to have survived as skipper despite Royal Challengers Bangalore (RCB) never winning the coveted title in his eight years at the helm. "I don't see him as a shrewd captain. I don't see him as a tactful captain (tactician). And he hasn't won the IPL. So ultimately, a captain is only as good as his record," Gambhir said on host broadcasters' Star Sports show 'GamePlan'. 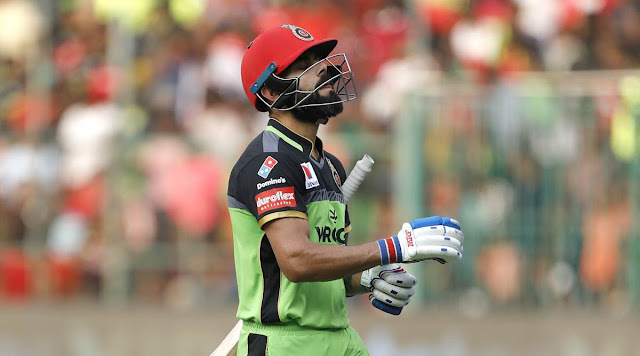 Gambhir also explained that Kohli and Royal Challengers Bangalore’s problems begin from the auction table last December while explaining how he would have approached the previous game.